Click on the Gallery Tab to See More Options Available for Order! 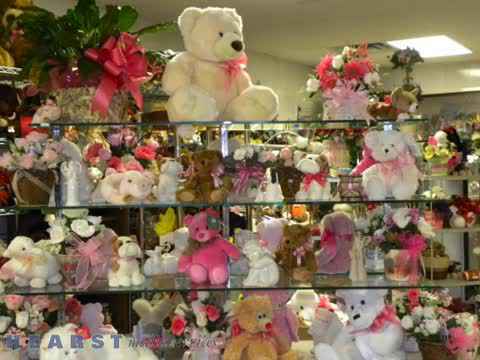 Welcome to Grizels Flower and Gift Shop We are thrilled that you have visited our website to see our lifetimes work. In our store you will find that special something for that special someone. No matter what the occasion Grizels delivers. Whether you are looking to send flowers for an anniversary, birthday, get well, congratulation, or just simply to cheer someone up. What sets Grizels apart from the rest? Why, theres a garden of reasons! Youve picked a wonderful Laredo, Texas florist bursting with creativity, energy, and most of all, a passionate love and understanding of flowers and plants. Grizels Flower Shop is expertly skilled at producing dazzling floral bouquets, plants, and gift baskets. The team works closely with you to create an arrangement that brightens your minds eye. Every arrangement is as unique as the lucky person who enjoys it. Stop by we are comfortably located in 302 E. Hillside Next to Hillside Funeral Homes. Or if you are close to Mall Del Norte. We have been serving Laredo, Texas since 1989 with the best selection and quality of flowers, gifts, baskets, and all types of arrangements.